DECEMBER 19TH –the digits on the iPhone transform to 12:01 and the projector ignites, flashing away all that darkness. In effect the seat-less theater is silenced for two seconds by its own gasp for air. Staring ahead in awe, we see a grey image take form and hear that familiar elegiac tune. Applause and yells are sporadically fired from the crowd in excitement, and then, they settle down and lean back. I do the same, after yelling an “I love you JK!” to the appreciation of the muggles around me. I clutch my cup holder in disbelief and turn around to scan the crowd—they all know. Here we are once again, living a-one-before-the-last-time experience. Next summer will bring forth the final revelation, the last “new” feeling Harry Potter has left to cast. 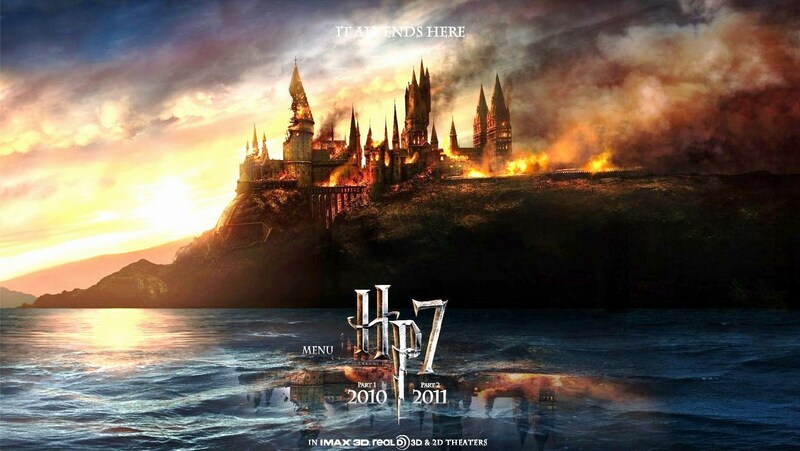 Harry Potter and the Deathly Hallows: Part 1 is the beginning of the end. The movies have never appealed to me entirely. Most other ardent fans will frantically swish and flick their heads in agreement. Not much can appeal to the reader whose imagination has dominated his/her interpretation of the story in all its rich individuality. This movie, however, differs. For the hard-core Potter fan, this installment has finally performed magic itself. Dumbledore is dead. The Dark Lord’s power is on the ascent. It encroaches everything and everyone we have come to know and love in J.K Rowling’s fictive world. A stupefied Harry, Ron, and Hermione stumble forward, groping in search of five unknown Horcruxes in waning hopes of perhaps destroying the Dark Lord. No one is safe. Within the first few scenes characters we have come to love and cherish are mercilessly obliterated into nothingness; some as innocent as Hedwig, and others as memorable as Mad-Eye Moody. The movie is not that children’s fairy tale. Instead, it is a war film, portrayed in all its glory by the masterful David Yates who returns for the direction of his third take at the Harry Potter franchise. The movie has been criticized for its deadening pace, grey palette, and depressingly ominous overtones. What critics fail to realize is that these elements form the core of Rowling’s narrative, to which Yeats and Steve Kloves (screen writer) have remained remarkably faithful to as they try to embody the author’s craft. To the observant reader, one would notice the progression of darkness from Book 1 to Book 7. 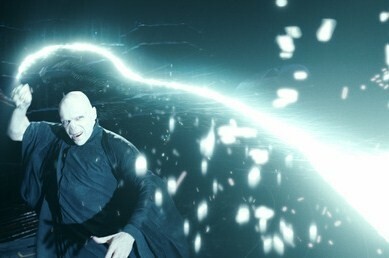 Rowling elaborates on this phenomenon, telling her followers that it is only a reflection of the Dark Lord’s ever increasing power, year after year. This movie’s use of pathetic fallacy in projecting its bare, icy, wintry landscape for much of the story compliments our protagonists’ journeys by almost mimicking their feelings and endeavors in a wizarding world that is plagued with its own inter-wizard civil war. Others criticize the movie for its taxing plot-less charge. What better way to feel the trio’s frustration from their haphazard journey than to be a part of it, by the audience enduring and experiencing the characters’ own frustration first-hand through a seemingly abstract plot? In addition, the movie is the book itself. It is glum, depressing, emotionally charged, heart pounding and penultimately rewarding. In effect, Yeats is preparing his audience for that final reality. That our last goodbye is nigh, the inevitable day will arrive hither next summer when generations of beloved fans will finally have to say their farewell to a part of their lives that has given them so much joy and entertainment. All good things in this world do come to an end. So will Harry Potter. Regardless, particularly noteworthy is the class of acting. Though not Oscar worthy, the acting in this movie is the thrust itself, for neither graphics nor magic are called upon to play their forceful roles as they have in installments gone by. Each and every actor appeared to be well seasoned, which was a wonderful surprise; not only do England’s finest actors perform brilliantly, as always, but also the younger apprentices finally match up and make their mentors proud. One scene at the onset stuck out, as I blinked in pleasure at the beauty of the art. Jason Isaac’s (Lucius Malfoy) frightened raspy utterance of “yes my Lord” when Ralph Fiennes (Voldemort) peers behind his chair and asks for his weak Elm wand. The scene was perfectly timed and evocative in every sense of the word. Malfoy’s fear could be sensed in every syllable. It was as if the very dragon heartstring core of his wand rattled in fear with him as he reluctantly disowns the instrument. Equally breathtaking was the artistic mastery of using shadow play screen shots for the narration of The Tales of Beedle the Bard, our first entry into knowing the Deathly Hallows. But the real surprise in Deathly Hallows Part 1 emanates from the trio. 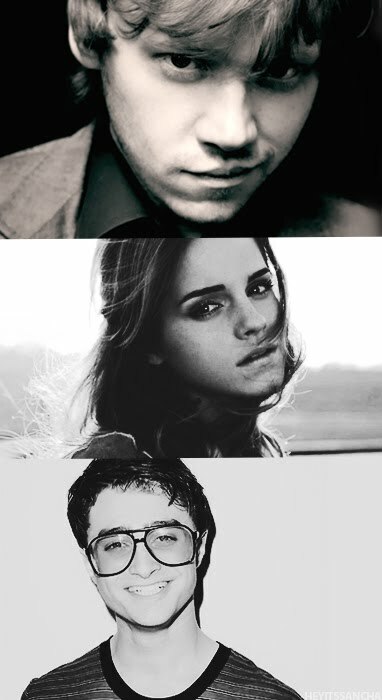 Their portrayal of the intricacies of human drama which Rowling pours out in the novel was extraordinary. T he chemistry of Radcliffe, Grint, and Watson have simmered for over nine years and is now finally bubbling into the perfect portion—hue, smell and all. The claustrophobic interaction of these three faces and the dangers which it draws on—testing life-long friendships and relationships, were brilliantly projected and well received. Undeniably, Grint seems to have buffed-up for the role and his efforts payoff when we see him as the larger bumbling personality of the trio who is the first to be tested. Radcliffe too has matured in his acting, and as an actor seems to have adopted a wider span than I had thought probable of him. However, emotionally, he could have reached further through a deeper enunciation of the emotional turmoil Rowling’s Harry endures. Almost there, and I applaud for that, but not quite. Watson on the other hand, appears to be the front-runner, transforming Hermione Granger into a character of her own. Though not departing entirely from Rowling’s version, Watson owns her character on a different level, and it complements the installment well. Sophisticated, beautiful, emotional, determined, and always equipped with that damn wand and purse, she is the savior of the trio, perhaps even the protagonist behind the veil. My only reserve was Watson’s lack of power in the epic Malfoy manor scene. Reading those passages in the book was heart wrenching, the mere thought of it aches emotionally. 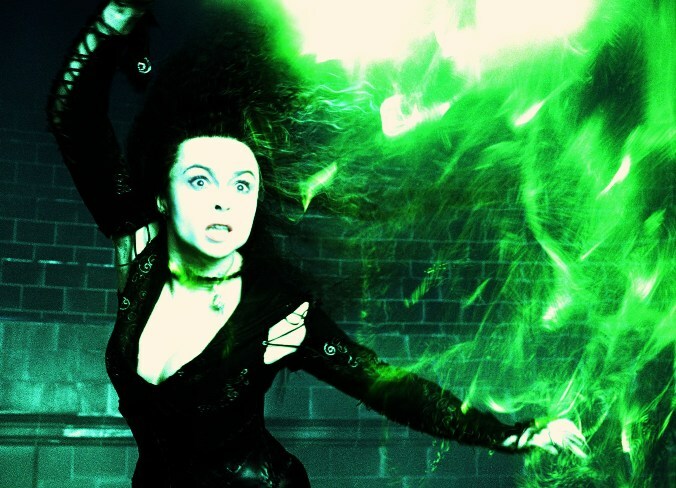 A deranged Bellatrix repeatedly curses “Crucio!” to an already broken Hermoine sprawled on the floor, who screams out of reflex rather than agency. A horrified Ron, locked in the dungeon, hears her cries and goes rabid, pounding his battered fists against the large concrete blocks, crying in misery as he helplessly feels her pain. Here, his love for her is most pronounced in the book and most empathised with. In the movie, Watson does perform the scene, but either it is Yates, or the pace of the movie that doesn’t give us the due attention that is necessitated. Helena Bonham Carter (Bellatrix Lestrange) however, is flawless, as if though personified from the very pages of the novel. While the movie did deprive us of some lovely focus on star characters such as Maggie Smith (Minerva McGonagall) and the impeccable Alan Rickman (Snape), the movie functions as a grandiose stepping stone for what is to come. Epic scenes await us, and sadistically, this movie functions as the seductress where the glimpse will not satisfy, we yearn for the whole. Whether it be McGonagall’s chilling battle cry to the army of Hogwarts; Nagini’s epic doom with the sword of Gryffindor; the long awaited kiss; or our last meeting with Albus Dumbledore, goose bumps lie in waiting for the finale of the last spell. Accio 2011! Adieu.